Ballade for Strings is about the journey to and the arrival on the ultimate tonic key of D major at the very end of the piece, but not before. The work employs four distinct thematic elements. Expressive playing is required throughout. 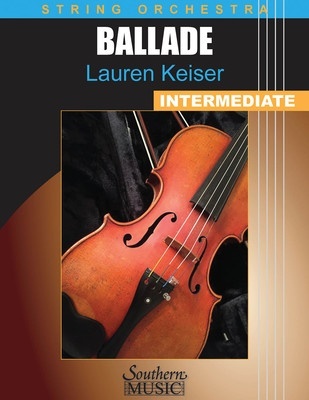 Ballade is written for advancing ensembles, with expanded use of rhythms, ranges and keys, but technical demands are still carefully considered. Viola T.C. and optional piano reduction are included.